This timely book addresses key challenges faced by policy makers and the house-building industry in a post-credit crunch world. 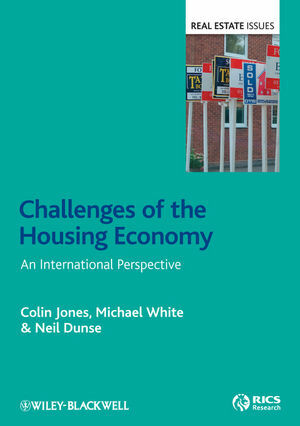 It examines the implications for households, the housing market, the economy, as well as for government's policy choices. Challenges of the Housing Economy: an international perspective brings together experts from around the world to examine recent housing market trends. The contributions reveal common long-term trends in housing markets worldwide. Despite differences in supply conditions and the role of planning, there is a trend toward rising house prices that has created significant barriers to home ownership for young households while increasing the wealth of older generations. The financial crisis had a differential impact on housing markets but in many countries where mortgage finance became severely constrained, house prices fell and there was a dramatic fall in housing construction. The falls in house prices in these countries have ostensibly improved affordability but the housing markets have been dominated by the lowering of loan to values applicable to new mortgages which has further raised the hurdles to potential first-time purchasers. At the same time as young households are increasingly rationed out of owner-occupation, public sector expenditure cut-backs in many countries result in limited new social housing. Instead, value for money imperatives will mean new funding models for affordable housing that require greater use of public-private partnerships. The private rented sector could potentially meet the demand for the new generation of long-term renters. However, there are doubts - in the UK at least - that this sector will be able to expand significantly or provide an appropriate type and standard of housing. This is an essential advanced text for students and researchers of land economy and land management; property and real estate; housing policy; and urban studies.